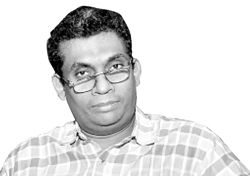 Considering the many discussions about the impending Presidential Election an important question on the minds of people is whether the incumbent, President Mahinda Rajapaksa can contest for a third term at a presidential election. Meanwhile, President Mahinda Rajapaksa himself on November 5 sought the Supreme Court’s opinion on the constitutionality of contesting for a third term under the 18th Amendment to the Constitution in terms of Article 129 of the constitution. (a) Whether in terms of Article 31 (3A) (a) (1) of the Constitution, as amended by the 18th Amendment, I as the incumbent President, serving my second term of office as President, have any impediment, after the expiration of four years from the date of commencement of my second term of office as President on November 19, 2010, to declare by Proclamation my intention of appealing to People for a mandate to hold office as President by election, for a future term. A ten-judge bench comprising Chief Justice Mohan Peiris, Justice K. Sripavan, Justice Chandra Ekanayake, Justice Priyasath Dep, Justice Eva Wanasundera, Justice Rohini Marasinghe, Justice Buwaneka Aluwihare, Justice Sisira J de Abrew, Justice Sarath de Abrew and Justice Priyantha Jayawardena had taken up for consideration the written submissions filed by various individuals and parties. Supreme Court sources said Justice Saleem Marsoof was not present on the bench as he was away on an official overseas tour. The Supreme Court had received more than 35 written submissions by 3.00 p.m. Friday November 7. Five days later, on November 10, the Supreme Court communicated its opinion to President Mahinda Rajapaksa on the constitutionality of contesting for a third term under the 18th Amendment to the Constitution. Meanwhile, Leader of the House and Minister Nimal Siri Pala de Silva informed Parliament last Tuesday (11) that the full-judge bench of the Supreme Court was of the opinion that President Rajapaksa had no legal impediment to contest for a third term. Dailymirror spoke to several legal experts to find out what the implications of the Supreme Court opinion are. 129. (1) If at any time it appears to the President of the Republic that a question of law or fact has arisen or is likely to arise which is of such nature and of such public importance that it is expedient to obtain the opinion of the Supreme Court upon it, he may refer that question to that Court for consideration and the Court may, after such hearing as it thinks fit, within the period specified in such reference or within such time as may be extended by the President, report to the President its opinion thereon. (2) Where the Speaker refers to the Supreme Court for inquiry and report all or any of the allegation or allegations, as the case may be, contained in any such resolution as is referred to in Article 38(2)(a), the Supreme Court shall in accordance with Article 38(2)(d) inquire into such allegation or allegations and shall report its determination to the Speaker within two months of the date of reference. (3) Such opinion, determination and report shall be expressed after consideration by at least five Judges of the Supreme Court, of whom, unless he otherwise directs, the Chief Justice shall be one. (4) Every proceeding under paragraph (1) of this Article shall be held in private unless the Court for special reasons otherwise directs. 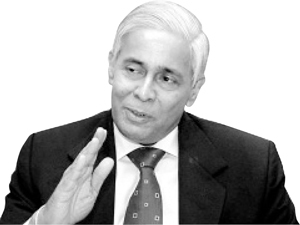 Sarath N. Silva, former Chief Justice, speaking to explained that there were serious concerns with regard to the opinion made by the Supreme Court regarding President Rajapaksa running a third time for the Presidency, said, “Under the Article 129 of the 1978 Constitution, the head of state can consult the Supreme Court on a matter of public importance and seek its advice In essence, the head of state can ask for Supreme Court’s guidance on the conduct of the government. He said that in the past, former President Chandrika Bandaranaike Kumaratunge sought the opinion of the Supreme Court on three instances of public importance. “At the time I was the Chief Justice and I had a public hearing each time before communicating the opinion of the SC. Based on this she took certain steps, some which even went beyond the SC’s advice,” he noted. "This opinion has been announced in Parliament; that should not have been done"
“However, the opinion the incumbent President has sought from the Supreme Court is not on a matter of public importance. It is a personal matter; a private concern. The head of state is asking for the Supreme Court’s opinion on Mahinda Rajapaksa’s eligibility to run for a third term. In other words he is asking ‘Can I run for a third term? Do I have any legal impediments in running for a third term? So this is not under the purview of the Article 129,” he added. The former Chief Justice also explained that there had been no public hearing on the matter and that this consultancy jurisdiction given by the SC has prevented the Supreme Court from exercising an ordinary jurisdiction with regard to this matter and was therefore unfair. He reiterated that the opinion of the Supreme Court was in no way a ruling and was not binding. “What it is, in fact, is an opinion and it is just that. Usually such opinions are only a communication between the SC and the head of state. But in this case, this opinion has been announced in Parliament; that should not have been done,” Mr. Silva said. However, he explained that while this was not a ruling, it had brought on a much graver issue. “We have been informed that all 10 SC judges have signed in favour of this opinion. Essentially what they have done is they have expressed their bias on this matter. This is not contempt of court because that is what they have done. If a judge is biased, he is then disqualified from hearing any other cases or petitions pertaining to the matter. That is the right of any individual – to have his case heard by an unbiased judge. Now, all 10 Supreme Court judges have been disqualified from hearing any petitions that might be brought forward with regard to President Mahinda Rajapaksa’s third term. So who is going to hear such a case? We cannot go before biased judges who have already expressed their opinion, so where are we going to go? It is very unfair that this advisory jurisdiction has prevented an ordinary jurisdiction from taking place. The Chief Justice has not realised the gravity of this matter and the implications of it,” the former CJ added. K. N. Choksy, PC said, “Although Article 129 of the Constitution refers to ‘opinion’ of the Supreme Court, it is in fact a decision of the Court. This is implicit in Article 129 itself. My reasons for saying so are as follows. “Firstly Article 129 is not open ended. It is confined to question of law or fact of constitutional importance.The determination is that of the highest judicial authority in the country. Secondly, the choice of such question is left in the hand of the head of the government. Further the ruling is by the highest judicial authority. Although Article 129 speaks of the ‘opinion’ of the Supreme Court, it is a constitutionally binding ruling by the court. This is an inevitable conclusion. Every question of constitutional or legal importance requires having a finality. “A different view of any decision of the Supreme Court can be taken at anytime. But when ten judges of the Supreme Court unanimously hold an [opinion] I think it has tremendous persuasive value. There is no question whether it is binding or not. All judgements of the Supreme Court are of persuasive value. I do not think the public need to have any doubt about it. The law relating to that is very clear,” Manohara de Silva, PC said. 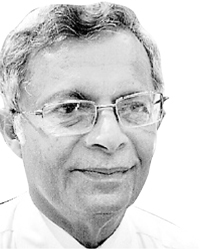 When the Daily Mirror inquired whether what was given by the Supreme Court is binding as it is just an opinion and not a ruling, Mr. De Silva said it is persuasive. “It is persuasive; nothing is binding on anybody. When ten judges of the Supreme Court decide on this very particular issue the law is very clear. I think it is wrong question to raise whether it is binding or not; no judgement is binding. The Supreme Court is not bound by its own judgements they can change them anytime; and they do it always. But when the entire Supreme Court holds that view and the entire Bar holds that view I don’t think there is any doubt about it,” he said. Dr. Jayampathy Wickramaratne, PC said that the reasoning of the Supreme Court is unknown.“What is given by the Supreme Court is an advisory opinion; it is not an interparty judgement. My own opinion is that this is not binding. Any party through another case would be free to persuade the court to take a different view. It is not a hearing in public and ordinary people did not have an opportunity to intervene. That is why it is merely advisory and not binding,” he said. 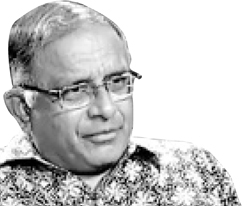 Shibly Aziz, PC who was a former President of the Bar Association, Sri Lanka (BASL) and a former Attorney General said whether the decision given by the Supreme Court is binding or not as a judgement has not been decided yet. But certainly it has to be respected,” he said. 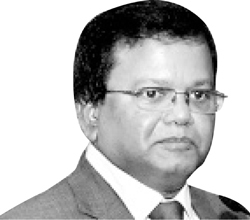 Upul Jaysuriya, President of the Bar Association expressed his personal view on the matter in his capacity as an attorney- at- law. With such opposition, the president should complete his present term and await the verdict of the people at that time. When all MALE CJs are biased, WOT TO DO?